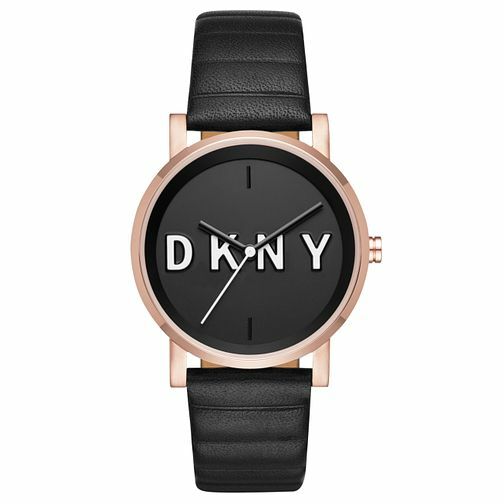 DKNY brings you ultra chic time keeping. The beautiful minimalistic appearence will appeal to everyone. This rose gold tone watch features a round black dial with sleek rose gold tone bar hour markers, set on a stylish black leather strap. Waterproof up to 50 meters.